Entering the Sales world is a lot like engaging in a boxing match. How do you make your emotions work for you? For many in Sales, stepping into a sales opportunity is like stepping into a boxing ring. You’re going to be throwing punches, ducking and weaving — avoiding blows that could disable you or knock you out. The goal is to remain focused at all costs, not lose your nerve, and engage every tactic at your disposal to win. Emotions are actually involved in a sale from the very beginning, even before you are. People inquire about your product or service in the first place because of an emotional response. The first act in establishing a seller-buyer relationship is fully understanding the emotions connected to the buyer’s issues, because their emotions will guide you all the way through a sale. 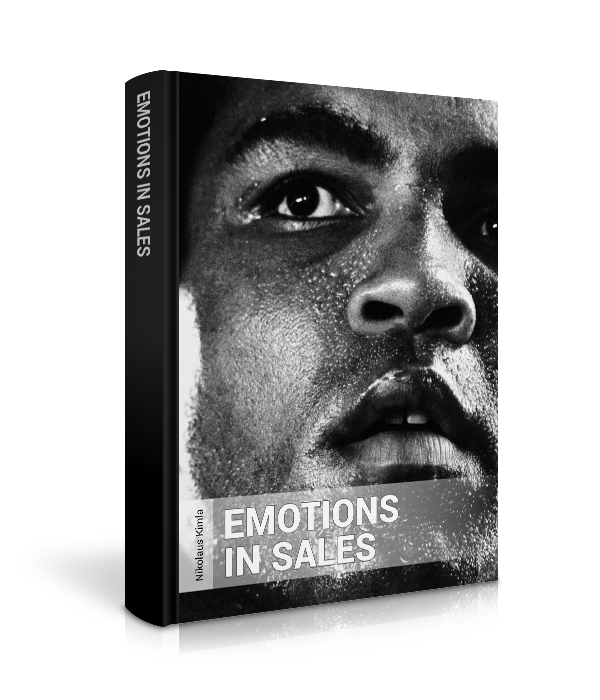 Download this free ebook and learn the value of emotions in sales and the value of keeping yourself focused at all times. The Power of Nurturing the Positive Emotions!